The best camping table is portable, stable, convenient, simple to setup and easy to take down. 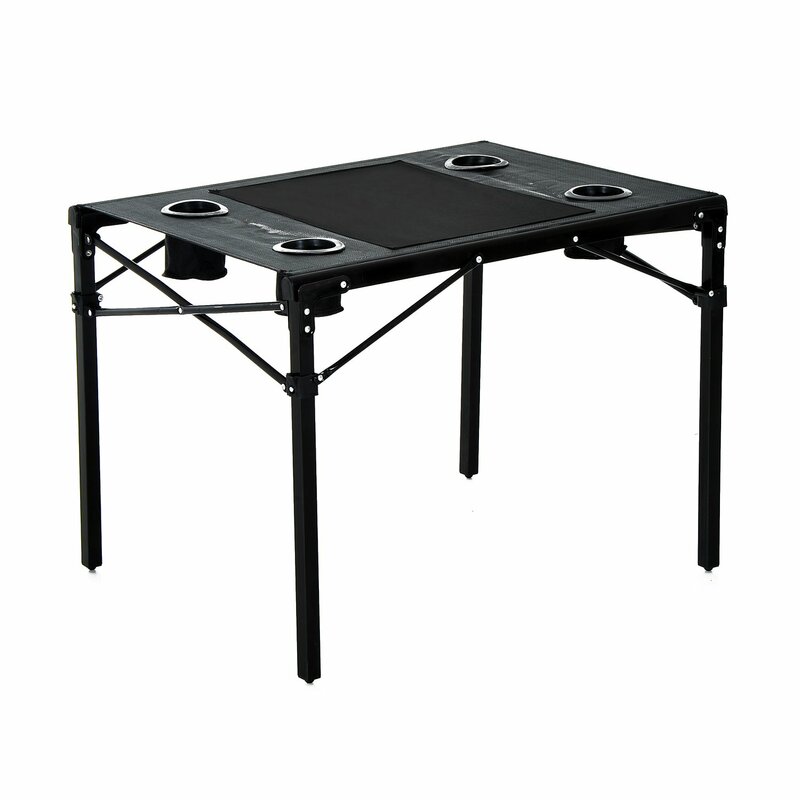 Our HomCom Folding Camping Table with Cup Holders is just that. Lightweight aluminum poles help keep a level and steady surface. The mesh and oxford cloth table surface is easy to clean. There are 4 handy, built-in drink holders on all sides. For you convenience, it all packs away into the included travel bag.